AC Milan could reportedly see Tiemoue Bakayoko move on just months after joining the club on a season-long loan deal from Chelsea. 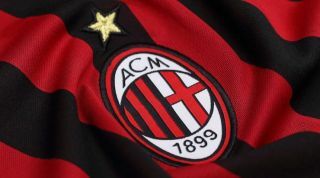 The 24-year-old has made eight appearances for the Rossoneri so far this season, but after being hauled off at half-time in the defeat to Real Betis on Thursday evening, his struggles are seemingly increasing. Devoid of any confidence or belief in his own game, it remains to be seen if he can turn things around at Milan, with the Italian giants surely at this stage not considering exercising their option to make his move a permanent one at the end of the season. With that in mind, Calciomercato report that Marseille have seemingly seen something that they like in Bakayoko, perhaps from his time at Monaco, and are interested in taking him back to France where he could have a better chance of rediscovering his best form. Given his struggles at Milan so far this season, it would be a surprise if Chelsea opt to take him back as he doesn’t appear to fit into Maurizio Sarri’s style of play either. Meanwhile, in more positive news for the Milan faithful, Sportmediaset report that agent Mino Raiola held a meeting with the club’s hierarchy earlier this month to discuss both a renewal for Giacomo Bonaventura and a potential return to the San Siro for Zlatan Ibrahimovic in the January transfer window. Bonaventura has been a key figure for the Italian giants for several years now and so extending his stay will be a boost, while given the lack of quality and depth up front beyond Gonzalo Higuain and Patrick Cutrone, adding Ibrahimovic could certainly help Milan compete on various fronts this season. Despite turning 37 earlier this month, the Swedish talisman has enjoyed a great stint at LA Galaxy, but a return to Europe could be on the horizon with Milan keen to take him back to Italy it seems.